Of Course your wedding ring is special because it’s yours. Although, how many other girls have a princess cut diamond engagement ring just like yours? Probably more than we’d like to think because we don’t want our ring to be just like the others. If you’re looking for ways to make your wedding ring more unique with a personal touch added to it; here are some ideas to help you customize your ring to be picture perfect. When it comes to wedding sets most brides have either silver, white or yellow gold, or platinum. 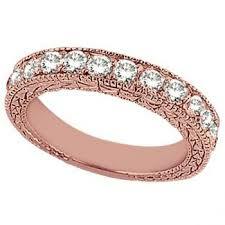 Although, you don’t have to go the traditional route- why not a rose gold ring? If you like the look of antique rings then this would be absolutely stunning. 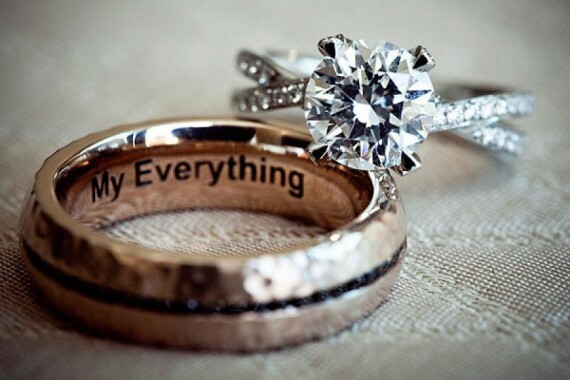 Make your wedding ring more than just a symbol of your love- use it to carry a special message with you daily. 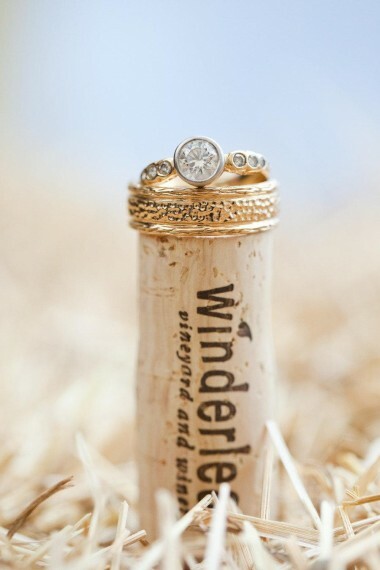 You can engrave the inside of your wedding bands or even the outside with something special. Possibly the date you first met, the latitude and longitude of your first home together, a special nickname your significant other calls you, or even something timeless such as “I Love You”. The possibilities are endless, and engraving your wedding bands definitely sets your ring apart from all of the others. Part of the something old on your wedding day could be the actual wedding or engagement ring. Maybe your mother or grandmother passed down their ring or a special band ring that you could use as your wedding ring. This not only gives you your “something old”, but it also adds more sentiment to your wedding set. Another way to spice up your wedding set is to use a colored stone. This too can add a lot more meaning behind your ring. Perhaps the color you choose is the color of your fiancés birthstone, or a ring passed down through generations. 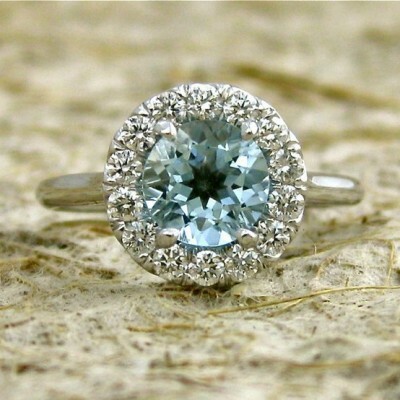 This could also be your “something blue” if the stone happens to be a hue of blue. There are a few different options for adding gemstones to your wedding set. You could have a wedding band with small colored stones paired with your diamond engagement ring, or you could have a gemstone engagement ring, with a diamond wedding band. If that doesn’t tickle your fancy, you could have a diamond engagement ring surrounded by a halo of your favorite gemstone. Last but certainly not least- turn your wedding band into a set of bands! Rather than only having an engagement ring paired with a wedding band, pair your engagement ring with multiple wedding bands. For example, you could pair you engagement ring with two bands in front of it and two bands behind it. To mix it up even more, you could create a two-tone wedding set; with the engagement ring in one color perhaps white gold and then the wedding bands in another color, maybe rose or yellow gold. Whatever you choose, just make sure it’s something you love so much your face will light up at the sight of it thirty years from now. And don’t forget- your wedding ring is not a symbol of status, but a symbol of love, unity, and personal sentiments.